Sunday night is upon us again, and I for one can't be bothered with the next two weeks of my life. Post something to distract me from the thought of next weeks work. I'd particuarly like pictures of Bez's whiter than white teeth. Didn't Sean Ryder go into debt just so he could get his teeth whitened. This reminds me of the curb episode where they find a picture of his dental records, and it creeps Jeffs kid out. God they are awful. I'm doing an essay on Britan & the EU. I must remember that lecturers are more leftleaning than most professions. 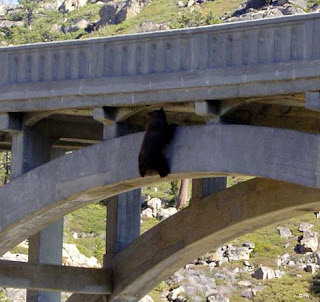 don't follow suicide bear's lead.. I've not seen you in like a year. :( I've been hibernating as things have gone a bit rubbish. We need to finish band of brothers!!! also tommorrow im going in work for 11:00 woooooo short day. bank holidays up soon and errrrrr sunny days. what are you doing the 11th april? there's a DiS outing in the pipelines..
its a ways away so im not sure yet but if im free ill come, where might this outing be to? Props to whoever can find the best combination of words to enter into Google image search for orange people results.